FLUTD (Feline Lower Urinary Tract Disease) is very common in cats. There are several causes, almost all of which can be alleviated by a change in diet and activity level, more water, and keeping your kitty’s environment as low-stress as possible. Dr. Karen Becker wrote a short and very helpful article on FLUTD. She talks about the types of FLUTDs, what symptoms to look for, risk factors, what may be the cause, and how best to treat your cat if she is diagnosed. The most important thing to remember is DON’T WAIT to get your cat to the vet if you notice symptoms. Get her an appointment right away for the most effective treatment. According to a recent study done on 22 homes with dogs and cats, pet food bowls and pet toys come in #4 and #7 on the top 10 germiest places in homes with pets. While a healthy cat or dog’s digestive system is designed to handle larger loads of bacteria, a human’s is not. And the elderly, small children, and the immunocompromised individual especially can become extremely ill from some bacteria. In her article, The Two Germiest Pet Items in Your Home, Dr. Karen Becker shares suggestions on how to keep these items and areas cleaner and safer. This is great information for all pet owners! Stop in our stores this Friday, March 29th, to enjoy 20% off all Small Batch raw foods! We have formulas for both dogs and cats. Lenny is a handsome one-year-old pit bull mix! He has lots of energy, which makes him the perfect work-out buddy. Let him join you for hikes, runs and all of your adventures. His playful nature will brighten your days. 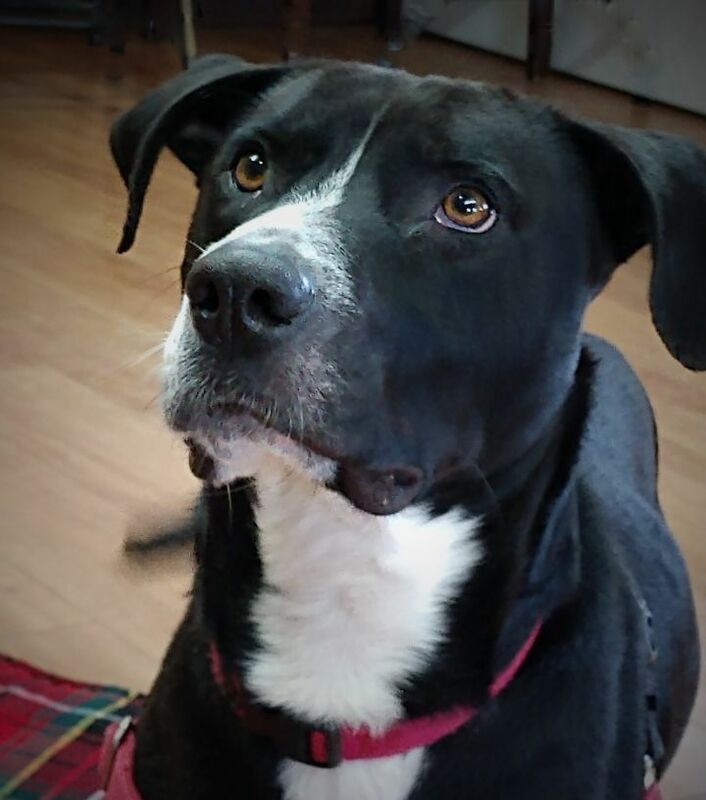 Lenny is working on his manners and would like to continue perfecting them with you. He would do best with older kids because he wants to be your baby. Lenny does well with some dogs and would probably get along with a dog-savvy cat. Do you need a pup to help motivate you to get going? Come into HAWS and get moving with Lenny!